Language around helping the broad middle class will remain a rhetorical staple, but Finance Minister Bill Morneau, as seen here on Feb. 28, 2019, is singling out the two politically important demographics for special attention in this year’s budget. The Liberal government’s Tuesday budget will target millennials and baby boomers, the two large generations that will shape the outcome of the 2019 federal election. 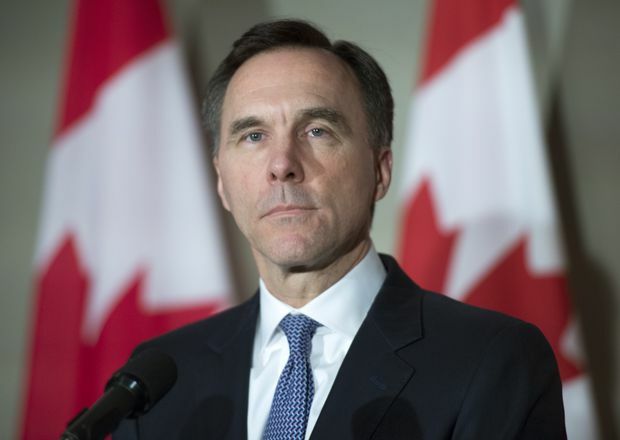 Language around helping the broad middle class will remain a rhetorical staple, but Finance Minister Bill Morneau is singling out the two politically important demographics for special attention in this year’s budget. For the first time in decades, baby boomers will no longer be the largest cohort of potential voters when Canadians head to the polls in October. According to Abacus Data, a polling firm that specializes in researching the consumer and voting trends of millennials, the generation of young Canadians will make up about 36 per cent of eligible voters, up sharply from 29 per cent in the previous federal election. The polling firm defines millennials as those born between 1980 and 2000, although there are other definitions. The firm estimates the percentage of eligible millennial voters will be slightly ahead of the 34 per cent of eligible voters who fall into the baby-boomer category. Whether millennials will come out ahead among those who actually turn out and cast a ballot could be a key factor in determining the shape of Canada’s next Parliament. Abacus Data pollster David Coletto said young voters were a key source of support for the Liberals in 2015 but that the governing party will need to generate enthusiasm among those younger voters if it hopes to win over that growing demographic in 2019. “The Liberals need young people to vote for them again,” he said. An Abacus survey conducted last year for the Canadian Real Estate Association found millennials listed housing affordability as the top issue that should be prioritized by the federal government. The challenge for Mr. Morneau is that experts disagree over which – if any – of the potential policy options to boost affordability should be considered. In his prebudget comments, the Finance Minister has specifically singled out millennials and seniors as groups that will benefit from budget measures. Announcements on housing and skills are expected to benefit younger Canadians. Seniors advocates say they would like to see private pension protection measures, improved support for low-income seniors and policies to reduce the cost of prescription drugs, among other possible announcements. Liberals are also clearly hoping that this week’s budget will provide a distraction from the weeks-long controversy over Prime Minister Justin Trudeau’s handling of the SNC-Lavalin issue, which has led to the resignation of two of his senior ministers – Jody Wilson-Raybould and Jane Philpott – and his principal adviser and close friend, Gerald Butts. Another major resignation came Monday when Michael Wernick, a key player in the controversy, announced he is stepping down as Clerk of the Privy Council because he felt he did not have the trust of the opposition parties. Melissa Lantsman, a former director of communications to Conservative finance minister Joe Oliver and vice-president of public affairs at Hill+Knowlton Strategies, said the government is clearly hoping to shift the public’s focus toward measures that will directly benefit groups that traditionally vote for the Liberals. “The Liberals have honed in on their voter coalition to make sure that the cheques are in the mail for those that they think are most likely to vote for them,” she said. However, Ms. Lantsman said the fact that the Liberals have clearly broken a campaign pledge to erase the deficit by 2019 will have lasting negative consequences for the Liberals in areas such as Toronto’s 905 area code where many ridings swing between electing Liberals and Conservatives. Conservative MPs have made the Liberal government’s broken promise on the deficit their key focus ahead of the budget. Meanwhile, NDP Leader Jagmeet Singh used his first appearance in the House of Commons Monday to call on Ottawa to act on climate change and affordable housing. “Three budgets, and Canadians are still waiting for housing,” said Mr. Singh, who called on the government to set a target of building 500,000 affordable homes.